The text of the Smaragdine Tablet gives its author as Hermes Trismegistus (“Hermes the Thrice-Greatest”), a legendary Hellenistic combination of the Greek god Hermes and the ancient Egyptian god Thoth. Despite the claims of antiquity, it’s believed to be an Arabic work written between the sixth and eighth centuries. The oldest documentable source of the text is the “Kitab Balaniyus al-Hakim fi’l-`IlalKitab sirr al-?aliqa(book of Balinas the wise on the Causes) written in Arabic between the sixth and eighth centuries. 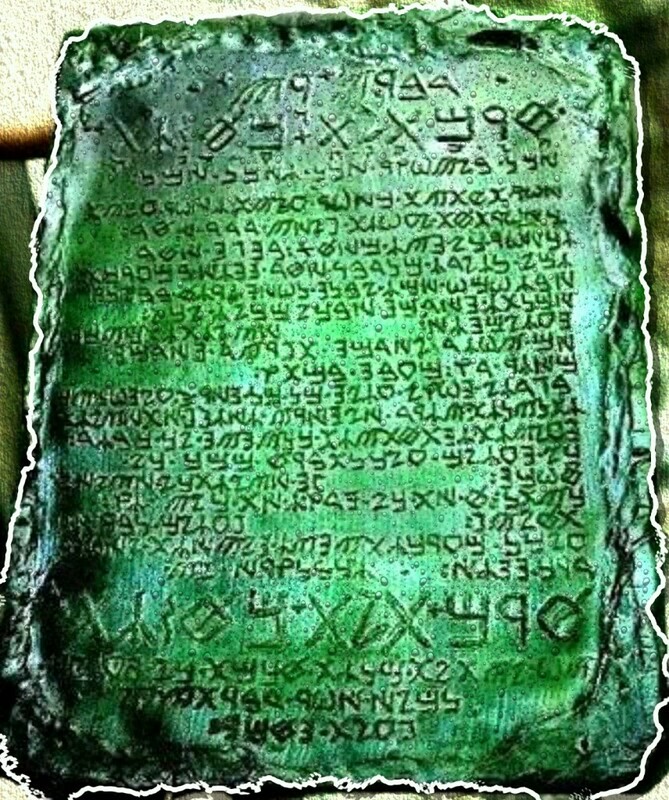 This volume is attributed to “Balinas” (or Pseudo-Apollonius of Tyana) In his book, Balinas frames the Emerald Tablet as ancient Hermetic wisdom. He tells his readers that he discovered the text in a vault below a statue of Hermes in Tyana, and that, inside the vault, an old corpse on a golden throne held the emerald tablet.